Themes of ageing and obsolescence abound in this classic 1957 Western from writer/director Samuel Fuller. Riding into town in search of a bounty, U.S. Marshall Griff Bonnell (Barry Sullivan) encounters local landowner and matriarch Jessica Drummond (the iconic Barbara Stanwyck) and her loyal, forty strong cohort. When Griff and his two brothers (Gene Barry and Robert Dix) arrest Drummond’s delinquent brother (John Ericson), she interjects, setting the two sides in opposition. As Griff and Drummond learn more about each other, they discover that they are not so different, each looking for ways to pass the mantle, yet unsure of whether their younger counterparts are up to the task. Replete with gorgeous visuals and ripe dialogue (“I’ve never kissed a gunsmith before”, “Any recoil?”), Forty Guns is full of the charm and nostalgia of the heyday Hollywood Western. The pacing flits between slow and contemplative, and excellent action scenes, including a gripping wind storm that imperils Griff and Drummond. Another sequence, involving a trap set to murder Griff, is superbly tense and a masterclass in editing. With a very tight budget, Fuller conjures a sense of quality through ambitious tracking shots and clever visual devices. Much like many Westerns, Forty Guns is preoccupied with the decline of the frontier, perhaps predicting the impending doom of the Western as a pre-eminent genre, and the devolution of the powerful studio system. Griff’s roaming bounty collection is regarded as a dying trade, while Drummond’s monopoly over the town is at risk from the encroaching federal government. The chaos of the town is presented in a wistful manner, with the law taking matters into its own hands, without modern bureaucracy standing in its way. Contrasting with their world-weary elders, the younger siblings are in awe of the frontier lifestyle though, tellingly, it is only through the advice of the parent-figure that they can prosper in a changing world. Stanwyck is excellent as the morally ambiguous posse leader, with the film’s original name, The Woman with a Whip, indicating her character’s centrality in the story. Imperious yet vulnerable, she is the perfect foil to Sullivan’s redeemed gunslinger. A complex mixture of honour and impetuousness, she storms through each scene, changing all in her wake. It is only when she meets her match that her humanity is truly visible, a change reflected in the emotional awakening in Griff through the film. Forty Guns may be fairly dated in some ways, but is a fine example of its genre. 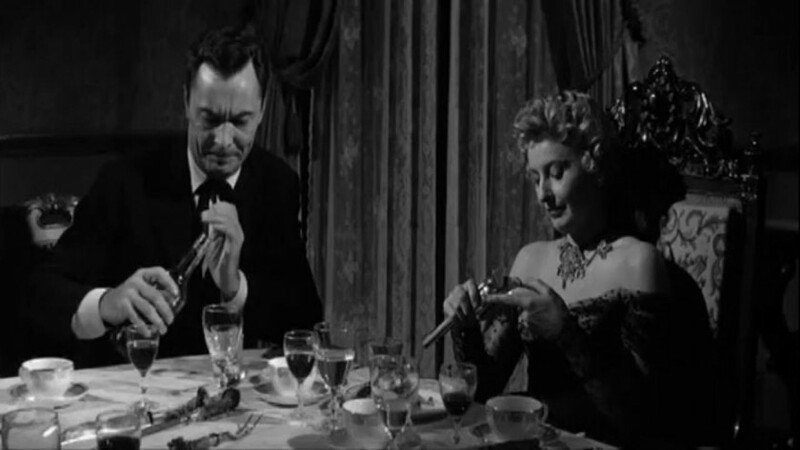 Stanwyck shines, as does the beautiful scenery, while Fuller’s direction is witty and inventive. Forty Guns is out in a dual format edition on 22 June.